In this lesson, you will learn a blues duet that you can play with someone else. Or, you can record yourself playing one part and play the second part over it. This is really great stuff. I have a friend who plays harmonica and this will offer some great elements to leave room for him to weave his part into the song. I love the authentic sound of the second backing track...it sounds just like the old street blues I used to hear when I was younger. Thanks again for such quality lessons. Another great lesson. Thanks Mary! You are the best! Yup. Love it. When you put up the supplemental content, seems would be groovy to also upload the duet parts separately so we can play along in context. 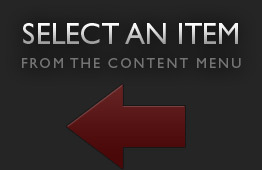 Would be more useful than the tabs even. Thanks! Great lesson. This is VERY cool. Some really cool ideas. Mary is such a brilliant musician. Hey! It will be a few days before I get the notation up for this lesson and Mary's last one. Thanks for your patience! In this lesson, Mary Flower introduces herself and her playing style. She also discusses essential blues listening. In this lesson, Mary Flower talks about playing the blues in drop D tuning. She teaches two amazing song examples to get you started. In this lesson, Mary plays in the key of A major in drop D tuning. 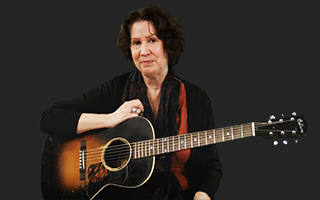 In this lesson, Mary Flower talks about the eight bar blues. She demonstrates it in a couple different keys. Mary Flower shows several songs that demonstrate the 8 bar blues. Mary Flower demonstrates two classic songs that feature an 8 bar blues structure. The songs are "How Long" and "Statesboro Blues." Mary Flower discusses various blues guitar techniques that can give your guitar a wonderful piano sound. Mary uses the songs "CC Rider" and "When I Lost My Baby" as examples in her discussion of the 12 bar blues. Mary is back with another lesson filled with tips on playing the blues in the key of E.
Mary talks about the song "Midnight Hour Blues" and gives some great tips on how to play this beautiful tune. Mary Flower dives into more blues in the key of E by teaching a movable chord. Mary talks a little bit about arranging songs and uses the song "John Henry" as an example. Mary teaches and discusses the history behind Mississippi John Hurt's song "Spike Driver Blues." Mary talks about diminished chords and looks at various different shapes. You will learn the song "Walking Across the Country" as an example. Mary teaches the classic song "Rag Time" by Rev. Gary Davis in this fun Blues lesson. Mary teaches a song called "Mississippi Blues" by Willie Brown. Mary Flower teaches the fun and catchy song "Saturday Night Rub" by Big Bill Broonzy. Mary teaches the song "South Carolina Rag" by Willie Walker. Mary Flower talks about the advantages of open D tuning. Mary Flower shares her interpretation of a classic blues slide tune called "Boogie Woogie Dance." Mary Flower shares some thoughts on the bass notes found within the song "Alabama Bound" in this lesson. Mary Flower talks about improvising a blues in A.
Mary Flower teaches her rendition of "Sugar Babe," a Mance Lipscomb tune. Mary Flower teaches her rendition of "Michigan Water," a Jelly Roll Morton tune. Mary Flower teaches her rendition of "Bye Bye Baby Blues" by Little Hat Jones. Mary Flower shares her rendition of the spiritual song "Just a Closer Walk with Thee" in this lesson. Mary Flower shares an original song called "River of Joy." Mary Flower shares a song played in open D tuning that features alternating bass and syncopation. Mary Flower teaches her rendition of "M & O Blues," a Willie Brown song. Mary Flower teaches her rendition of the song "Colored Aristocracy." Mary Flower shares her modern rendition of "Turkey in the Straw." Mary Flower shares her rendition of the catchy blues tune "Trouble in Mind." Mary Flower demonstrates Carl Martin's arrangement of the song "Crow Jane." Mary Flower teaches her rendition of the song "Oh Babe It Ain't No Lie" by Elizabeth Cotten. About Mary Flower View Full Biography Working in both the intricately syncopated Piedmont fingerpicking style and her own deeply bluesy lap-slide guitar, Mary has earned rave reviews from critics and audiences alike for her springwater-clear vocals and mastery of multiple guitar styles as well as her own compositions. Though she can create prewar blues and ragtime with the best of them, Mary draws on traditional, contemporary and original material to create something new: a sound uniquely her own that remains true to the timeless power of the blues. Flower's elegant, funky and inventive playing on vintage guitars makes her one of a mere handful of women guitarists admired for their instrumental prowess. In 2000 and 2003 respectively, Mary placed in the top three at the National Fingerpicking Championship. Her career as an internationally known performer and teacher has spanned more than three decades. A recent transplant to the Northwest, Mary cut her teeth on the Colorado music scene where she played with the likes of Katy Moffatt, Pat Donohue, the Mother Folkers and more. Mary took a detour in the 80s to raise a family, all the time woodshedding and performing locally. Mary's CD Bywater Dance, recorded pre-Katrina in New Orleans for Yellow Dog Records, has garnered widespread acclaim. An award-winning player with seven solo cds and 5 instructional DVDs to her credit, Flower is in demand for festivals, concerts and guitar workshops on both sides of the Atlantic. "Unassuming blues heroine Mary Flower proves one again that she's one of the nation's premier fingerstyle blues guitarists-- her technique is exceptional throughout, and in the end, serves the highest purpose, the music--unfailingly sweet, hot and sassy--every track on this album has something about it that will give you the shivers... This is one of the most satisfying albums of the year." "Her crisp, fluid fingerpicking sounds deceptively effortless, with flawlessly executed syncopation, the hallmark of a bouncing, upbeat Piedmont style. From casual listeners to devoted blues fans, Flower's music is accessible to everyone"
"With her immaculate guitar playing and warm contralto, Mary Flower finds the sweet spot between modern and rootsy in twelve tunes bred of back porches, parlors, street corners, juke joints and country churches...one of the best blues based singer songwriters working today." "Mary is one of those rare artists who manages to create a tincture of the aged authentic with the freshly original."